PRICE REDUCTION! 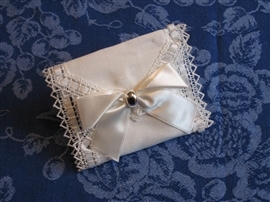 Off white linen centrino with macrame and satin trim. Shown folded into a bustina. Sold EMPTY AND UNDECORATED.